So your good friend at the office bragged about that they are going the Marbles sleepover, and how it is oh-so-sad that you didn’t secure tickets in time? (Registration closed Wednesday.) 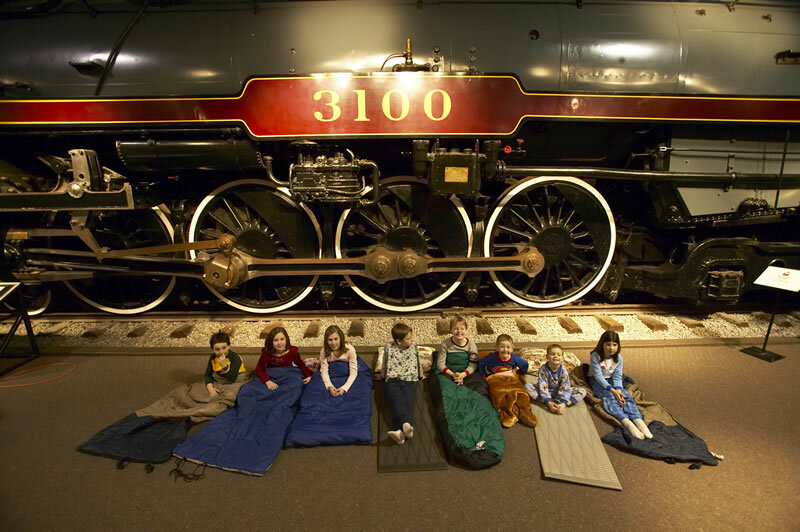 Don’t despair, Daddy Weekly to the rescue: The Museum of Life and Science has a sleepover too this weekend! And while spending the night at Marbles in your favorite exhibit is a special treat (the money machine would be cool, or build your own big brick house for the night), going to the less familiar museum in Durham may be enticing as well. They do have a neat program, with multiple light-out times, and special activities before bedtime. Tickets are $35 (kids under 3 free), and that includes dinner and breakfast. Canada Science and Technology Museum by cstmweb, used under the CC BY-NC-ND license. Spending the night sleeping next to a giant steam engine? Another good reason for having kids! This entry was posted in Active, Indoors, Moon and Stars, Science by daddyweekly. Bookmark the permalink.